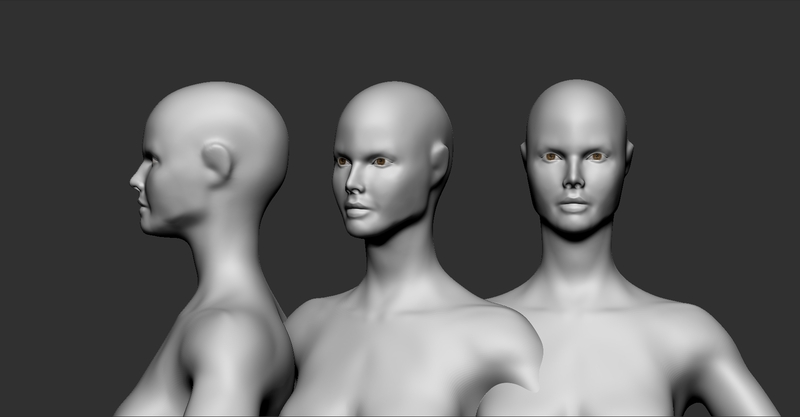 I don't have much experience modelling female figures (this is my second try), so this will be particularly challenging for me. I'm hoping I can get some help from the more experiences people to help me achieve a portfolio-worthy piece. 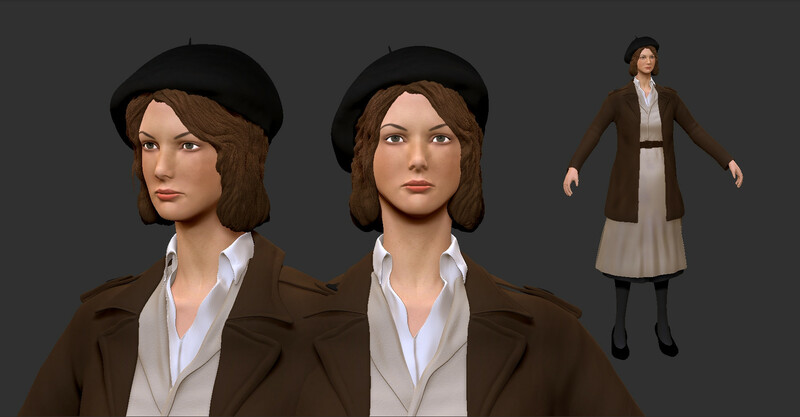 Most of the superficial details won't really matter as she's wearing several layers and fairly loose clothing, but I still need to nail the face and proportions in general. Any help would be very much appreciated. 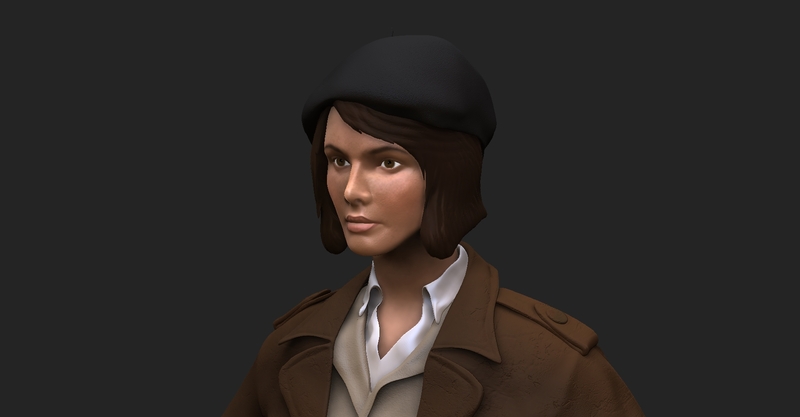 Small update: blocked out the clothing and worked on the face a little more. Gonna retopo the clothes for cleaner edges then move on to detailing. One thing that could be tricky for you is to keep her feminine silhouette with that coat on. In the concept, you could see how her belt pushes her shirt in a bit to show her waist. Have fun sculpting ! Really like her face right now though. This is where I'm at right now. The face is driving me a little insane. I know something just doesn't look right about it but I don't what it is. Also, I'm still trying to figure out how to do the hair in a practical way that can translate well to a low poly mesh later on. I don't really have a final triangle limit in mind, but it has to remain practical for use in a game engine. I had already spotted this concept on the web before voting for the character challenge and was planning to put her back in competition for October challenge. The new body proportion fits much more the concept, however, the hands now feel quite big regarding the overall shape of the character. She even seems to suffer a bit from denutrition in the original concept, where her hands are unevely skinny, compared to her facial features, jaws, etc; it helps a bit to contextualize. On the ortho w/o polypaint, the nasolabial folds seems to constrain a bit too much the mouth area, the part around the upper lip and the mouth corners may lacks some definition and flesh. Can't say much more, tried my best to be constructive, but my english need some major anatomical vocabulary improvement ; i'm excited to see your future updates! Your English is just fine, don't worry. You were right about the hands, they were definitely over sized for sure. The idea that she, being part of the resistance, might be malnourished or generally underfed did not come to my mind. Putting her into context really does help in working on the character. Thanks for that suggestion! I also worked on the mouth a little more this time, and it looks a little more relaxed and natural (I hope). Current update: Still struggling quite a bit on achieving a likeness to the concept's face. 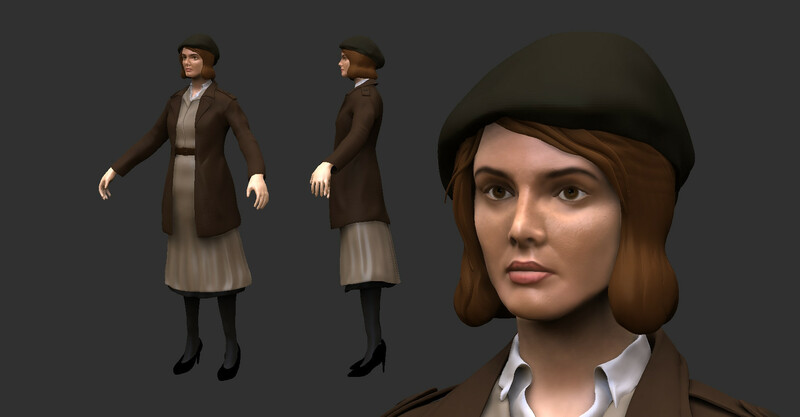 I've spent several hours over the past few days working on it, only to find myself reverting to and starting again from older iterations because it ended up looking like a different woman entirely. 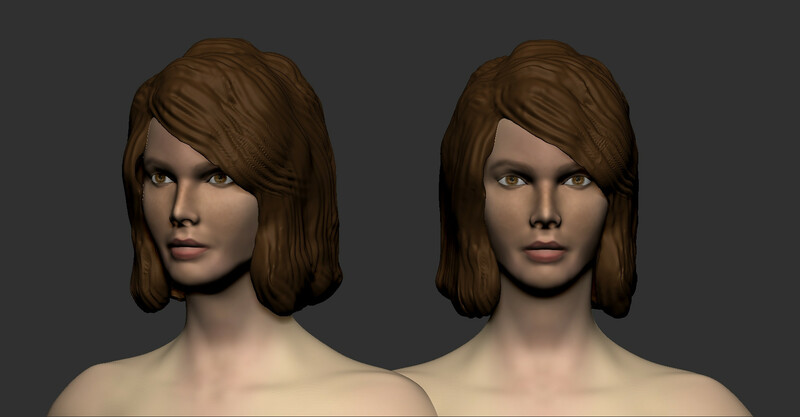 Another thing I'm finding difficult is keeping the face looking feminine while making it more gaunt at the same time. As always, any comments are greatly appreciated. 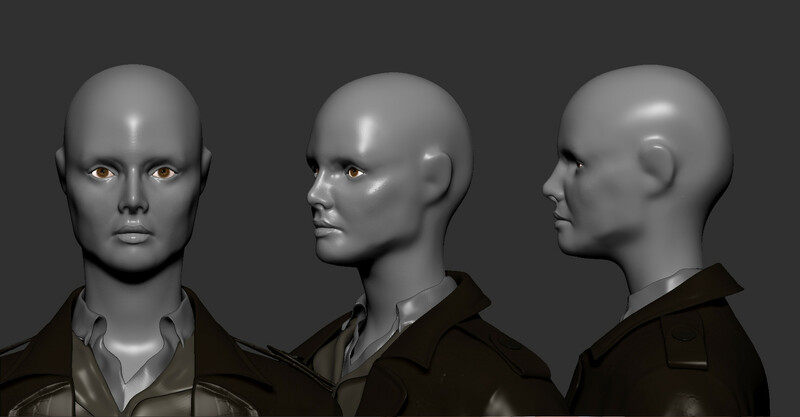 I really want to get the face right before I start working on the rest of her. 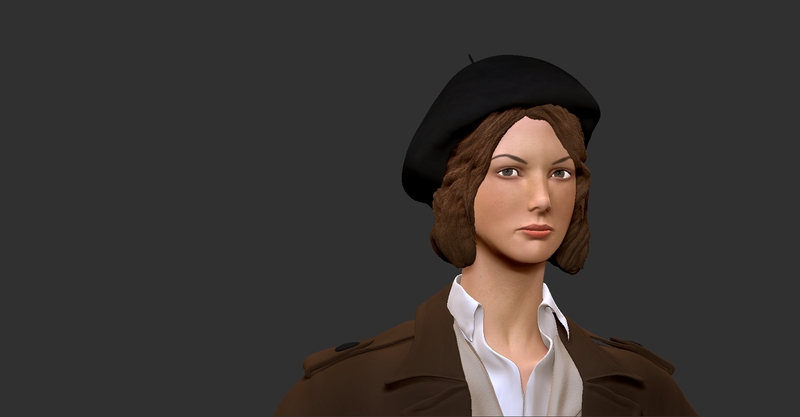 After many hours of iteration and reiteration, I think this is as far as I can take the face with my current skills. I feel I kinda of bit off more than I can chew with this project, but it could be worse, I suppose. 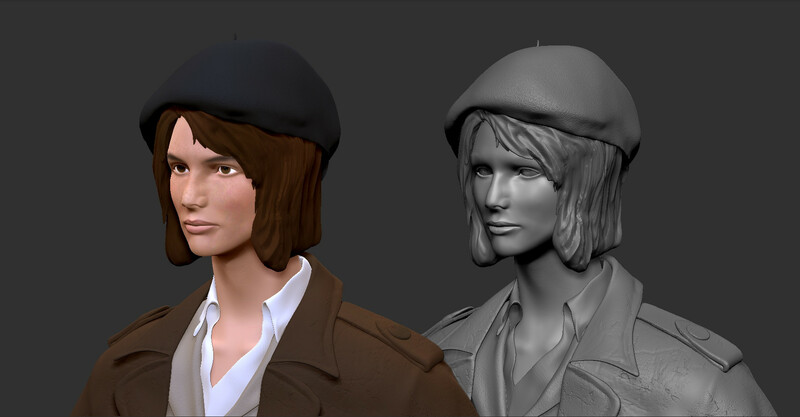 I am completely useless when it comes to sculpting good looking hair, so I'm just gonna recreate the hair with some cards when I retopo to low poly. I would really appreciate any comments/critiques at this point. 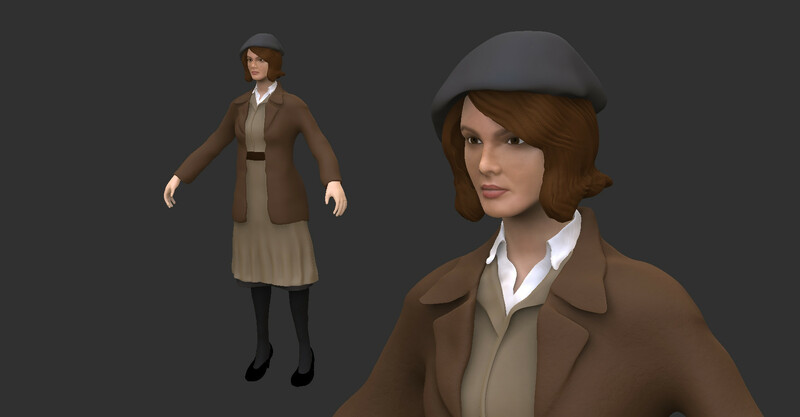 I'm gonna tweak the clothes next, then start working on the low poly. Looking pretty solid, mate. A few more things to address though. Her head is -really- small. She's standing somewhere around the nine heads tall mark. Your typical heroic game character is around 7 and your reference looks a little shorter than that again. 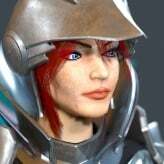 I think you've also lost some of the nice strong bone structure that you had going in some of your earlier iterations, although the flat lighting you have in the last couple of shots isn't helping that.